Pamper your pens and gadgets with the softest zipper pouches on the planet! We've taken the common zipper pouch to a whole new level with our luxurious plush interior — the same material used for ultra-soft childrens' plush toys. We guarantee you'll feel the difference! With our vast array of color choices, you can coordinate with any outfit, and color code your everyday carry items — pens in one, cables and charger in another. We designed our pouches with a flat bottom to sit upright, and zipper top to open-wide when unzipped for easy access to the contents. This pouch comfortably holds 20 assorted pens. 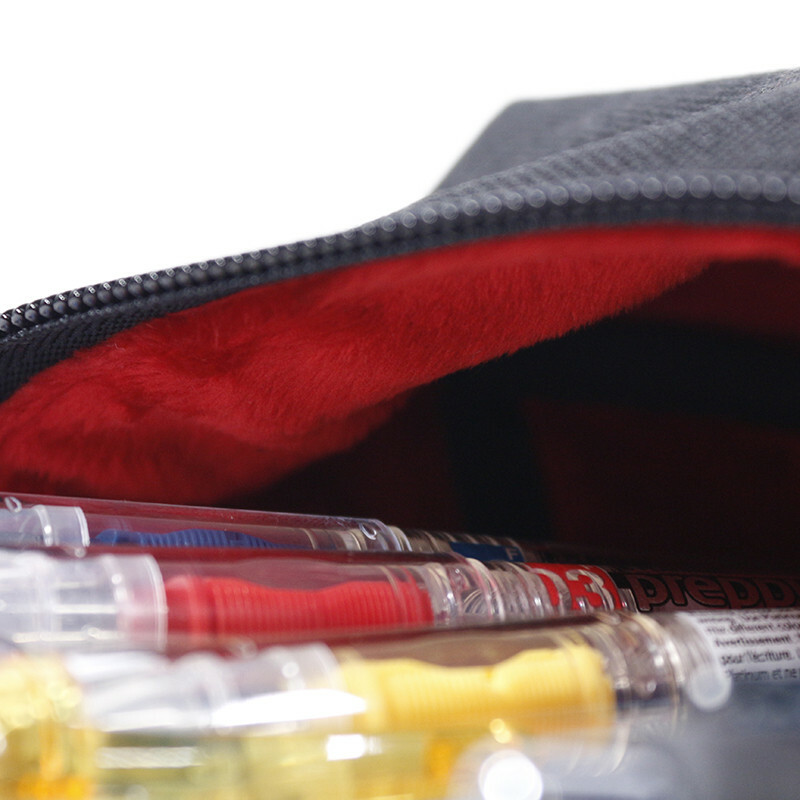 If you want to store longer pencils, please consider our longer Plush Pencil Pouch. If you want more storage space, consider our taller Hero Pouch. Dimensions: Base: 2.5"W x 6.5"L; Height: 3"; Zipper Length 8.5"